You know him, you love him, he will give you the stink eye with his pink eye, the Machinegun Moses - Aaron Krieger. My name is Shawn, I once smuggled candy into a movie theater in a prison purse because… well because I like it. Candy that is. 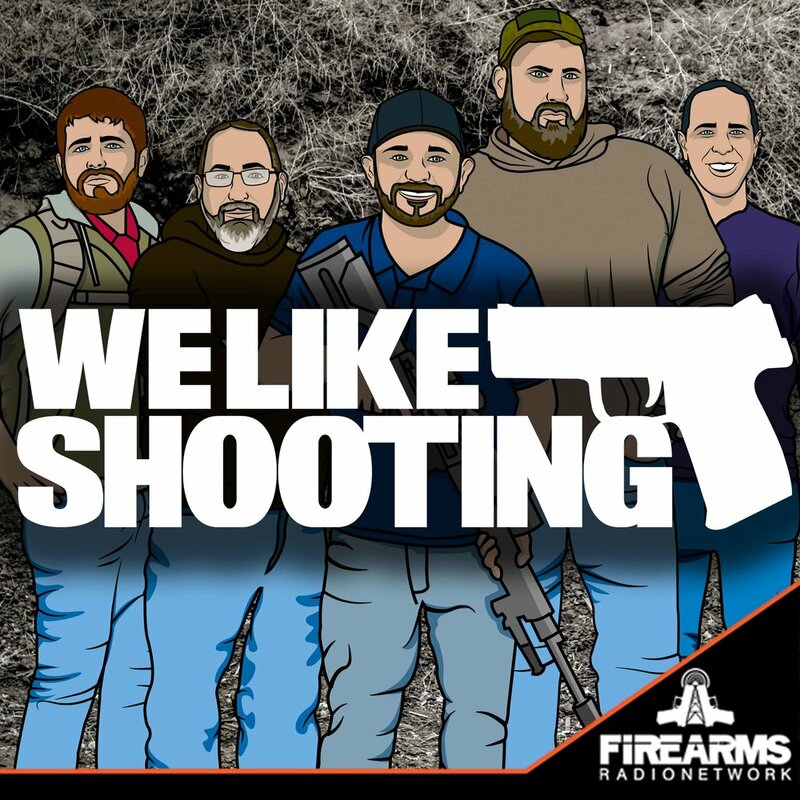 Our guest tonight has been shooting since he was 9 years old, served in the the Marine Corps and is now a USPSA and 3 Gun competitor for SIG Sauer, please welcome Clay Klemm! READ BY JEREMY Tonight we are going to do We Like Shooting Theater sponsored by Manticore Arms. Where we re-enact movie scenes, our style. Tonight we will perform a scene from “THE TERMINATOR”. TERMINATOR: [picking up guns] The 12-gauge auto-loader. PAWN SHOP OWNER: That's Italian. You can go pump or auto. TERMINATOR: The .45 long slide, with laser sighting. PAWN SHOP OWNER: [hands the Terminator a .45 gun] These are brand new; we just got them in. That's a good gun. Just touch the trigger, the beam comes on and you put the red dot where you want the bullet to go. You can't miss. Anything else? TERMINATOR: Phased plasma rifle in the 40-watt range. PAWN SHOP OWNER: [annoyed] Hey, just what you see, pal! TERMINATOR: [looks around] The Uzi nine millimeter. PAWN SHOP OWNER: You know your weapons, buddy. Any one of these is ideal for home defense. So uh, which will it be? TERMINATOR: [pointing the 12-gage shotgun towards the door] All. PAWN SHOP OWNER: I may close early today. There's a 15-day wait on the hand guns but the rifles you can take right now. PAWN SHOP OWNER: You can't do that. The following demo guns (plus many more) will be available to try out at Bullpup Shoot 2015! Amendment to allow 1911 sales by CMP on shaky ground. Australian police banning bolt action chassis that ‘look military’. Steve passed away - One of our listeners Steve is in hospice and medically in dire straights. Just wanna send him some positive vibes and hope he pulls through and if not I hope he finds peace.